[S6] Cokayne, and others, The Complete Peerage, volume III, page 485. He was given the name of Henry Somerset at birth.1 He succeeded as the 11th Lord Herbert [E., 1461] on 24 May 1714.1 He succeeded as the 5th Marquess of Worcester [E., 1643] on 24 May 1714.1 He succeeded as the 3rd Duke of Beaufort [E., 1682] on 24 May 1714.1 He succeeded as the 9th Earl of Worcester [E., 1514] on 24 May 1714.1 He was educated at Westminster School, Westminster, London, EnglandG.1 He matriculated at University College, Oxford University, Oxford, Oxfordshire, EnglandG, on 29 October 1720.1 He graduated from University College, Oxford University, Oxford, Oxfordshire, EnglandG, on 22 April 1725 with a Doctor of Civil Laws (D.C.L. 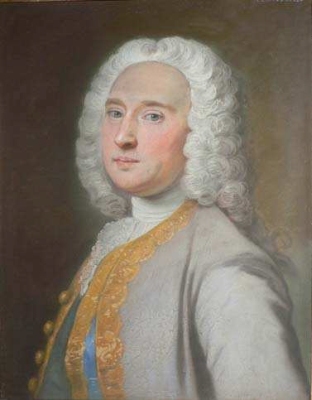 )1 He held the office of High Steward of Hereford in 1729.1 In 1730 his name was legally changed to Henry Scudamore by Act of Parliament, after succeeding to Holme Lacy, Herefordshire and other estates from his wife's family.1 His last will was dated 7 June 1744. He was educated at Winchester College, Winchester, Hampshire, EnglandG.1 He matriculated at University College, Oxford University, Oxford, Oxfordshire, EnglandG, on 19 June 1725.1 He graduated from Oxford University, Oxford, Oxfordshire, EnglandG, on 16 October 1727 with a Master of Arts (M.A. )1 He held the office of Member of Parliament (M.P.) (Tory) for Monmouthshire between 1731 and 1734.1 He held the office of Member of Parliament (M.P.) (Tory) for Monmouth Borough between 1734 and 1745.1 He graduated from Oxford University, Oxford, Oxfordshire, EnglandG, on 12 July 1736 with a Doctor of Civil Laws (D.C.L. )1 He succeeded as the 6th Marquess of Worcester [E., 1643] on 24 February 1744/45.1 He succeeded as the 10th Earl of Worcester [E., 1514] on 24 February 1744/45.1 He succeeded as the 4th Duke of Beaufort [E., 1682] on 24 February 1744/45.1 He succeeded as the 12th Baron Herbert [E., 1461] on 24 February 1744/45.1 His last will was dated from 20 August 1750 to 27 May 1754. After her marriage, Lady Mary Osborne was styled as Duchess of Beaufort on 14 September 1711. From 14 September 1711, her married name became Somerset. From 15 October 1715, her married name became Cochrane. Her last will was dated 3 February 1721/22. [S6] Cokayne, and others, The Complete Peerage, volume II, page 54. Her married name became Lygon. 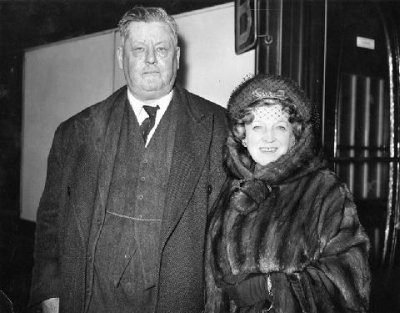 After her marriage, Else Schiwe was styled as Countess Beauchamp on 15 November 1938. From before 1503, her married name became Stanley.1 After her marriage, Anne Hastings was styled as Countess of Derby on 29 June 1504. [S2670] Sophie Hill, "re: Proctor Family," e-mail message to Darryl Roger Lundy, 9 February 2008. Hereinafter cited as "re: Proctor Family."